Way back when I was first designing the projects for my book, I knew that I wanted to make a typewriter quilt. You all know my love for vintage things, and typewriters just seem to be one of those iconic pieces that never go out of style. I had so much material that I wanted to pack into Sew Organized for the Busy Girl that, in the end, the typewriter mini had to be cut from the final draft. Thankfully, though, Stash Books is letting me release it to you as a free tutorial this Monday on the C&T blog. I'll also be doing an Instagram takeover for them next week (Monday through Friday) where I'll be sharing some pictures of all that goes on behind the scenes here at Fabric Mutt, so be sure to tune in! The keys are a rainbow of prints from all the Cotton + Steel designers. I used my favorite green floral print from Cookie Book for the typewriter (how I would love to have one in real life that looked exactly like this!) and the Playful word find print could not have been more perfect for the sheet of paper. The background is a dark navy XOXO print from the basics collection which is framed in Playful viewmaster reels for the binding. The entire quilt top is traditionally pieced, by the way -- nothing fancy going on here beyond squares, rectangles, and half square triangles. I quilted the entire piece using a wavy stitch on my machine which reminds me of how I used to make "pretend writing" on my pictures back when I was a little girl and didn't know how to make any real letters. This quilt is the first time I've ever used double cotton gauze for backing, and I tell you, it will not be the last! The Cotton + Steel Bespoke collection is unbelievably, gloriously soft, like your favorite t-shirt that's been washed a hundred times until it's the most comfortable thing you own. I can't wait to curl up under this quilt tonight while I watch television with my husband before we go to bed. Out of all the quilts I've made over the years, this may possibly be my very favorite. 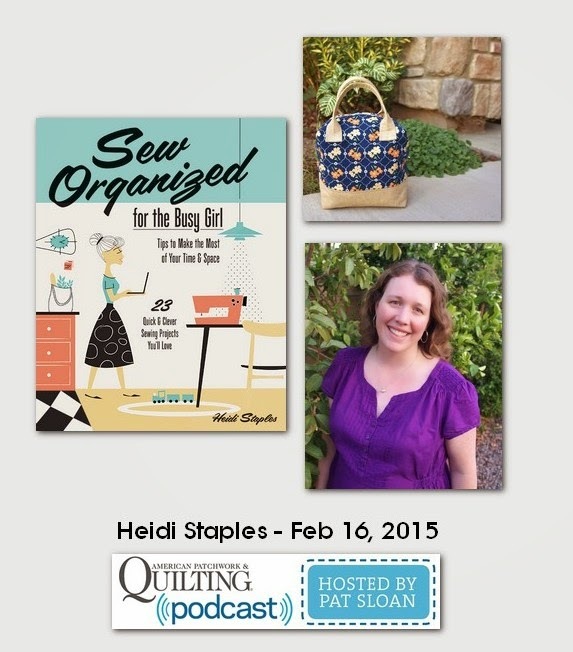 Be sure to visit C&T on Monday for the mini typewriter quilt tutorial. I can't wait to share it with you! My sister is planning to move into a beautiful house here in Southern California before we drive off for Texas in June, and I wanted to make something pretty for her new home. 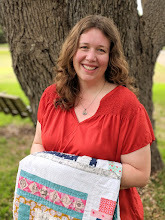 When my friends at Riley Blake Fabrics were kind enough to send me a package full of the lovely Wiltshire Daisy collection by Carina Gardner, I knew I had the right fabric for the job. These prints are shabby chic perfection, just the sort of thing my sister loves. Her new kitchen has an adorable window seat along one wall, and these pillows will make a cuddly spot for someone to curl up with a good book. 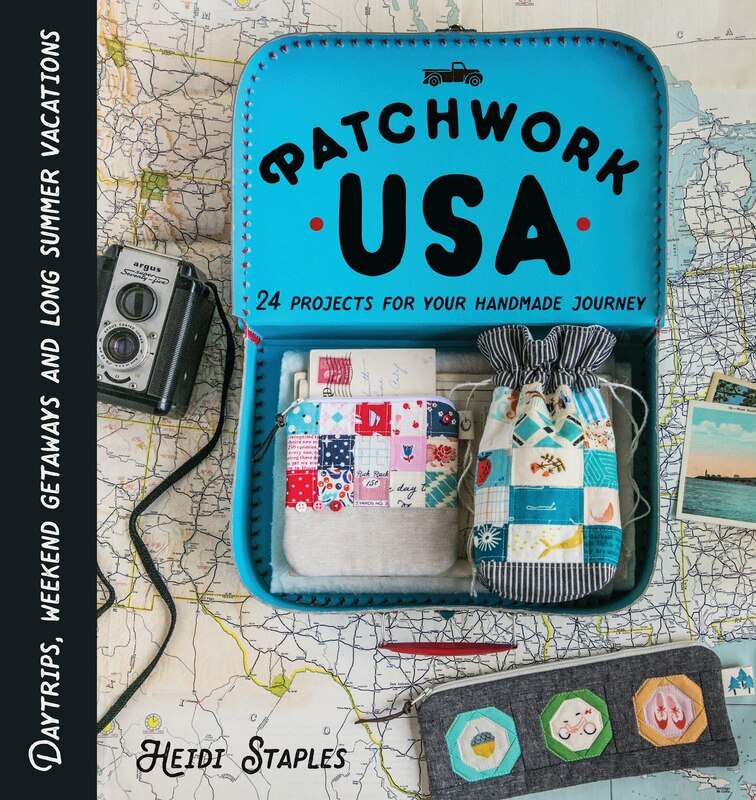 I'm so honored to be appearing on the American Patchwork and Quilting Podcast tomorrow with Pat Sloan, where we'll be chatting about my new book and all things quilty. You can tune in right here tomorrow at 1pm Pacific/4pm Eastern time. Drop by and check it out! ...enjoying some much needed chocolate chip cookie therapy.